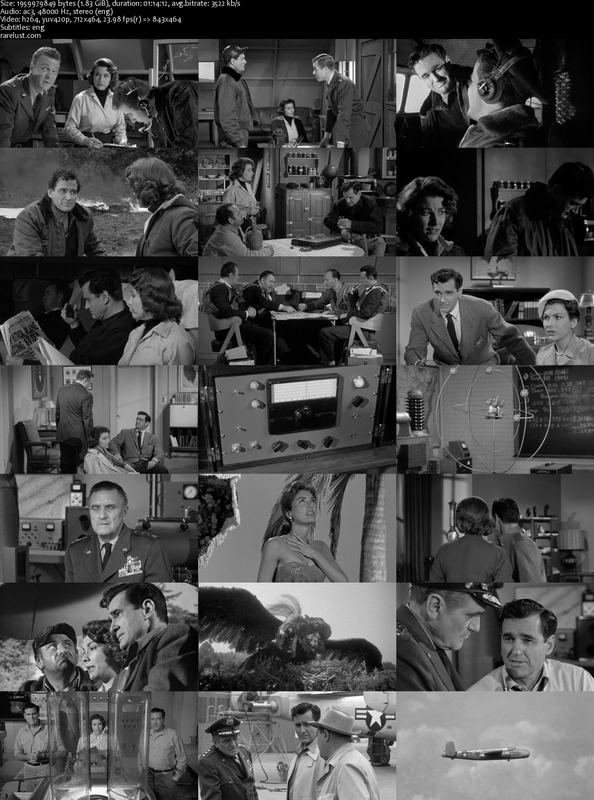 Description: Global panic ensues when it is revealed that a mysterious UFO is actually a giant bird that flies at supersonic speed and has no regard for life or architecture. “HO-LY SMOKE!! I’ll NEVER call my Mother-In-Law an ‘Old Crow’ EVER again!” LOL!! That, and other good gems from this Turke…I mean, “Flying Battleship”. Thanks, Rarelust. 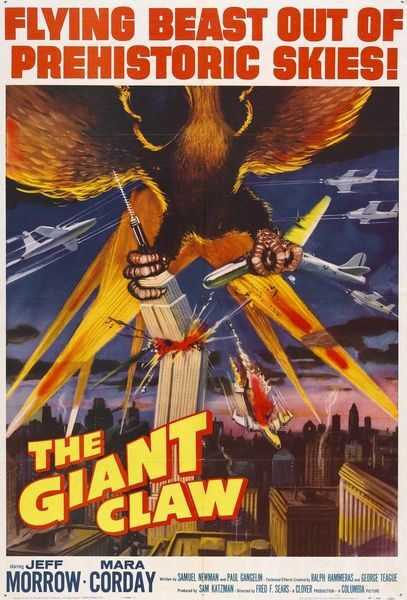 THE GIANT CLAW is what great “Movie Party Nights” are made for. One thing this movie’s got that makes me want to watch in over and over again… Mara Corday. What a babe. Everyone should have this in their collecttion! The title creature is the most misbegotten/non-scary monster ever, but you can’t not love him. This thing is gloriously awful! The cast never saw the monster-puppet during filming, so they didn’t know what they were “reacting” against. They finally saw it on the film’s opening night, and reportedly sneaked out of the theater in embarrassment.